Further, financial services firm DSP Group has signed up definitive agreements to acquire BlackRock Inc's 40 per cent stake in joint venture DSP BlackRock Investment Managers Pvt Ltd to become the sole owner of the asset management firm.14 Finally, another M&A activity that is emerging as a trend is offshore and onshore PE funds acquiring a strategic or controlling stake in non-banking finance companies, asset reconstruction companies and other financial services businesses such as, inter alia, mutual funds and securities broking. The funds industry in India is primarily regulated by the Securities and Exchange Board of India (SEBI), the securities market regulator, pursuant to the legal and regulatory framework of the SEBI Act 1992 and regulations issued thereunder. The resident investors of these funds are subject to industry regulations, and their investments are controlled by the restrictions notified by the regulator. For example, investments by Indian insurance companies in AIFs are subject to conditions notified by the Insurance Regulatory and Development Authority (IRDA), while investments by Indian banks in AIFs are subject to conditions notified by the Reserve Bank of India (RBI). In addition to applicable SEBI regulations, funds or fund investments that have a cross-border element – which could be on account of the pooling vehicle being set up outside India, the investors being non-residents or the investment manager being owned or controlled by non-residents – need to comply with the requirements of the exchange control regulations issued by the RBI. The table below lists the regulations governing Indian funds and offshore funds investing into Indian securities, as well as regulations governing certain service providers. Acting as placement agent for the issuer or otherwise acting in furtherance of a private offering or public offering of an issuer, etc. Category III, which includes AIFs that employ diverse or complex trading strategies and may employ leverage (these are primarily for hedge funds). However, Indian funds proposing to use fund level leverage or that invest primarily in listed equity investments (including long-only funds) also need to seek registration as Category III AIFs. AIFs are becoming the vehicles of choice in the alternate assets space, as the structure can be customised to suit diverse investment strategies, sector exposure or target asset classes. These funds also enjoy a special taxation regime, thereby adding a sense of certainty and clarity regarding tax implications for AIF investors. Conventional funds that typically preferred to invest from outside India, such as offshore PE funds, debt funds and hedge funds, are increasingly investing into Indian securities through AIFs. Recently, the Reserve Bank notified Category II and Category III AIFs as 'qualified buyers' under the Securitisation and Reconstruction of Financial Assets and Enforcement of Security Interest Act, 2002; thus, such AIFs are now eligible to subscribe to 'security receipts' issued by an asset reconstruction company (ARC), subject to certain conditions. This amendment will enable foreign investors to structure an investment into stressed or distressed assets in India through a combination of debt and equity by leveraging an AIF and ARC structure. An AIF, being an 'Indian party' for Indian exchange control regulation purposes, is subject to restrictions under FEMA 20 in relation to its ability to make investments in non-Indian companies. Recently, SEBI in consultation with RBI enhanced the overseas investment limit of AIFs and venture capital funds to US$750 million from the current US$500 million, and has stipulated additional monitoring and utilisation-related conditions. Mutual funds operate in the retail segment (with limited exceptions for private placement for specified types of schemes) by raising moneys from the public through the sale of units under schemes when they are set up. Such solicitation is required to be conducted through the issue of an offer document, which is scrutinised by SEBI. As would be expected from a retail product, the offer document is required to provide in-depth detail on extensive disclosures. The SEBI (Mutual Funds) Regulations 1996 (Mutual Funds Regulations) set out the eligibility criteria, and also codify the rights and obligations of the sponsor, trustee (in addition to trust law), manager and custodian, including regarding the contents of the trust deed and the investment management agreement. The Mutual Funds Regulations stipulate broad-basing requirements at each scheme level and prescribe the investment conditions, including a cap on exposure to investee companies for investments by way of equity and debt. To usher in more transparency and consistency in reporting, SEBI launched the Guidelines on Categorization and Rationalization of Mutual Fund Schemes to distinguish strategies in terms of, inter alia, asset allocation and investment strategies, and to make uniform the characteristics of similar types of categorised schemes.16 The Guidelines classify mutual funds as equity schemes, debt schemes, hybrid schemes, solution-oriented schemes and other schemes. In solution-oriented schemes, there is a specified lock-in period. Only one scheme per category is permitted except in index funds or exchange traded funds replicating or tracking different indices; fund of funds having different underlying schemes; and sectoral or thematic funds investing in different sectors or themes. The SEBI has also issued Guidelines to enhance Governance of Mutual Funds that restrict the tenure of independent trustees and independent directors to a maximum of two terms, with each term not exceeding a period of five consecutive years. The independent trustee or director will be eligible for reappointment for a second term after a three-year cooling-off period has elapsed subject to non-involvement with such mutual fund, asset management companies (AMCs), subsidiaries and sponsors. Existing independent directors and trustees may hold office for a period of 10 years, inclusive of the preceding years for which they have held office. Similar provisions are applicable in relation to the rotation of auditors and the maximum tenure for existing auditors of mutual funds. REITS and INVITs are regulated by the SEBI (REIT) Regulations 2014 (REITs Regulations) and the SEBI (INVITs) Regulations 2014 (INVITs Regulations), which are generally quite similar. REITs and INVITs are required to invest primarily in completed, revenue-generating real estate assets and distribute 90 per cent of their earnings to the investors. Units of REITs and INVITs are issued by way of a public offer through an offer document that is scrutinised by SEBI. The INVITs Regulations envisage private placement subject to certain conditions. REITs and INVITs are not permitted to have multiple classes of units or schemes, except 'subordinated units' that can be issued to the sponsor. It is mandatory that the units of a trust (including where privately placed) are listed on a stock exchange in India. Detailed investment conditions and restrictions have also been prescribed in both sets of Regulations. The Regulations specify minimum standards of net worth, and qualifications and experience for, and rights and responsibilities of, sponsors, managers and trustees, as well as rights and responsibilities of valuers and auditors. With respect to targeting investors such as mutual funds, banks and insurance companies, REITs and INVITs will need to ensure that the applicable cap on investments notified by SEBI, IRDA and RBI are adhered to. Recently, SEBI issued the Guidelines for Preferential Issue of Units by Infrastructure Investment Trusts, which stipulate the procedure and conditions for any subsequent issue of units after an initial offer.17 A listed INVIT thus may make a preferential issue of units to an institutional investor subject to various conditions, the key ones being that no preferential issue of units by the INVIT has been made in the six months preceding the relevant date; there shall be a minimum of two allottees and a maximum of 1,000 in a financial year; and units allotted under preferential issue shall not be sold by the allottee for a period of one year from the date of allotment, except on a recognised stock exchange. Foreign investment in India is required to comply with the Foreign Exchange Management Act 1999 and FEMA 20, which stipulate various routes for investing in Indian securities and funds. Offshore funds and offshore investors are permitted to invest in an 'investment vehicle' under the automatic route (without need for government approval). An investment vehicle is defined to mean an Indian fund registered with SEBI, and includes AIFs, REITs and INVITs. An offshore fund or offshore investor may choose to invest directly in Indian companies by complying with the conditions under the foreign direct investment (FDI) policy. An offshore fund seeking to make investments in listed securities requires registration as a foreign portfolio investor (FPI), for which it must satisfy the prescribed eligibility criteria, including being a resident of certain countries (i.e., jurisdictions that are compliant with the Financial Action Task Force) and jurisdictions whose securities regulators are signatories to the International Organization of Securities Commissions' multilateral memorandum of understanding. The application for registration is to be made before any designated depository participant that has been delegated the authority under the SEBI (Foreign Portfolio Investors) Regulations 2014 (FPI Regulations). There are three categories under which registration can be obtained by FPIs, ranging from sovereign funds to unregulated entities. An FPI cannot hold more than 10 per cent of the total equity capital of a listed company. The FPI Regulations also set out the list of permissible securities for investments by FPIs. The materiality threshold for the identification of BOs of FPIs on controlling ownership interests (or ownership or entitlement) basis shall be 25 per cent if the FPI is structured as a company, and 15 per cent if the FPI is structured as a partnership firm, trust or unincorporated association of persons. If the FPI is incorporated in a high-risk jurisdiction, the intermediaries are required to apply a lower materiality threshold of 10 per cent for the identification of a BO and also to ensure long form KYC documentation. If no material shareholder or owner entity is identified in the FPI using the above thresholds, the BO shall be the senior managing official of the FPI. Non-resident Indians and overseas citizens of India cannot be BOs of FPIs. Further, SEBI has also instructed intermediaries (custodians, brokers, etc.) to perform comprehensive KYC reviews of FPIs on a periodical basis. In the case of high-risk clients (including those incorporated in high-risk jurisdictions), the review shall be done on yearly basis, while in all other cases, the KYC review shall be conducted every three years, preferably at the time of renewal of the FPI registration. The debt investments regime applicable to FPIs was also overhauled in April 2018 with several amendments having been introduced, including broad-basing requirements (namely, investments by any FPI, including investments by related FPIs, shall not exceed 50 per cent of any issue of a corporate bond) and concentration norms (namely, no FPI shall have an exposure of more than 20 per cent of its corporate bond portfolio to a single corporate (including exposure to entities related to the corporate)). Offshore funds seeking to primarily invest in the unlisted space may choose to seek registration as a foreign venture capital investor (FVCI) under the SEBI (Foreign Venture Capital Investors) Regulations 2000 because of certain benefits accorded to FVCIs that are not available to FDI investors, which include free entry and exit pricing, exemption from certain lock-in and public offer requirements, and the ability to invest in optionally convertible instruments. FVCIs are, however, subject to certain investment conditions, including investing at least 66.67 per cent of their corpus in unlisted equity or equity-linked instruments. An FVCI application is to be made before SEBI, which acts as single-window clearance for approval from SEBI as well as the RBI. FVCIs need to abide by any additional conditions that may be imposed by the RBI when granting approval. Indian funds are generally set up as trusts (mutual funds, REITs and INVITs are mandatorily required to be set up as trusts by the respective regulations). The SEBI (Alternative Investment Funds) Regulations 2012 (AIF Regulations) provide flexibility for AIFs to be established as trusts, companies, limited liability partnerships (LLPs) or bodies corporate. However, most AIFs are formed as trusts because of administrative ease and enabling tax regime for trusts.18 An Indian fund is required to have an Indian manager. An offshore fund or an offshore investor may invest in an Indian fund or directly in the Indian portfolio companies, subject to restrictions under the RBI exchange control regulations. Cross-border funds can be set up as master-feeder structures (i.e., offshore funds that invest in Indian funds) or parallel funds (i.e., offshore funds that co-invest in Indian portfolio companies alongside the Indian funds). Indian entities are permitted to act as managers or advisers to offshore funds. The investment environment continues to see amendments to the legal, regulatory and tax regimes following on from the reforms introduced last year. It has been a year since the introduction of the Insolvency and Bankruptcy Code 2016 (IBC), and while the past 12 months saw the generation of considerable activity in terms of resolution applications being filed to bid for distressed assets, we have yet to witness any major PE-backed deal that has come to fruition. However, AIFs have emerged as the preferred route for structuring PE deals through the IBC process, as they are not only tax-efficient, but also enable the structuring of investments as a combination of debt and equity. The second key trend is the government's vision of making India a destination of choice for onshoring management services. With this objective in mind, FEMA 20 was amended to state that if an investment vehicle (including an AIF) is sponsored and managed by an Indian company or resident Indian citizens, or by both, then any downstream investment by such vehicle will not be subject to any exchange control regulations even if the entire capital of such vehicle are held by offshore investors. This amendment not only gives a boost to onshoring management services; it also aids the improvement of the overall returns, as it becomes possible to invest in structured credit opportunities and benefit from free entry and exit pricing. A key reform introduced by the government to improve India's placement on the Ease of Doing Business ranking was the amendment of the law relating to enforcement of commercial contracts whereby a party shall have the right to seek damages from a defaulting party in the case of a breach of a contract, and the discretion of the courts in such matters has been curtailed. Further, it is proposed that special courts be designated to try suits in respect of contracts relating to infrastructure projects, and to dispose of such suits within a 12-month period from the date of service of summons to the defendant, and further to extend the said period for another six months in aggregate after reasons for such extension are recorded. Finally, a high level committee under the chairmanship of ex-Justice B H Srikrishna has been constituted to review the institutionalisation of arbitration mechanisms in India with a view to encourage institutional arbitration for the settlement of disputes, and to make India a centre of robust alternative dispute resolution. Significant amendments have been approved by the Union Cabinet, and the Arbitration and Conciliation (Amendment) Bill, 2018 has been introduced for Parliamentary approval. These amendments shall make specific performance relief an efficacious remedy, strengthen the arbitration process and boost the confidence of the investor community in the enforcement apparatus of India. The government amended the FDI policy27 to permit 100 per cent FDI in companies engaged in financial services that are regulated by the financial services regulators (i.e., the RBI, SEBI, IRDA, National Housing Board, Pension Fund Regulatory and Development Authority (PFRDA) or any other financial regulator as notified by the government). Thus, foreign investors can set up NBFCs to conduct financial services business (such as lending, investments and asset management). Each financial services regulator stipulates the minimum net worth or net owned funds or capitalisation limits under its respective regulations. In April 2018, the Ministry of Finance approved a proposal to set the capitalisation limit for fund-based activities (in relation to unregistered or exempted financial services, or unregulated entities) at US$20 million, and for non-fund based activities (in relation to unregistered or exempted financial services, or unregulated entities) at US$2 million. However, FEMA 20 has not been amended yet to reflect these onerous capitalisation limits. If this amendment to FEMA 20 is notified, then Indian advisory subsidiaries of offshore managers shall need to be capitalised with US$2 million subject to any grandfathering or transition provisions for existing structures. Under the automatic route, 100 per cent FDI has been permitted in asset reconstruction companies (ARCs). However, an ARC is required to comply with the minimum net-owned fund requirement of 1 billion rupees. An ARC structure is crucial for strategic investors and turnaround funds, and for investors looking at garnering stressed and distressed businesses by buying non-performing assets (NPAs) from banks and taking control of the borrower company through a resolution mechanism under the aegis of the IBC with the objective of earning profit by effectuating a turnaround. setting up a trading platform for the purchase of performing and non-performing assets will enable better price discovery and, in the long term, create a ready market for performing assets. An international financial services centre (IFSC) constitutes an identified city where financial institutions can render financial services to residents and non-residents in foreign currencies. Section 18(2) of the Special Economic Zones Act 2005 empowers the government to set up IFSCs subject to operational guidelines to be issued by the financial services regulators. Gujarat International Finance Tec-City (GIFT City) is currently the only IFSC set up in India. Regulatory and tax regimes have been amended to facilitate the conduct of financial services activities (including setting up of funds and fund managers entities) in GIFT City. Companies operating in GIFT City have been conferred with a host of tax incentives, including tax holidays (100 per cent exemption from corporate income tax for the first five years and 50 per cent for the subsequent five years) and no dividend distribution tax for profits repatriated outside GIFT City. Insurance companies are permitted to invest in Category I and Category II AIFs, capped at the lower of the overall exposure to AIFs of 3 and 5 per cent (for life insurance and general insurance, respectively); or 10 per cent of an AIF's corpus (20 per cent for an infrastructure AIF). However, for Category II AIFs, investment is only permitted if at least 51 per cent of such AIF's corpus is invested in infrastructure facilities, SME entities, venture capital undertakings or social venture entities. FDI in pension funds has been increased to 49 per cent under the automatic route, provided that the foreign investor complies with the PFRDA Act 2013 and procures all necessary permissions set out in the PFRDA Act 2013. The control of the pension fund must also remain with Indian residents. Pension funds are permitted to invest in Category I and Category II AIFs, subject to a ceiling of 2 per cent of the corpus of the pension fund. For Category II AIFs, investment is only permitted if at least 51 per cent if the AIF's corpus has been invested in infrastructure facilities, SME entities, venture capital undertakings or social venture entities. Investments in Indian funds proposing to invest in real estate or infrastructure assets are regulated through the AIF Regulations, REITs Regulations, INVITs Regulations, Mutual Funds Regulations (as a real estate mutual fund scheme) or the SEBI (Collective Investment Scheme) Regulations 1999, as may be applicable. The IBC was recently amended to provide recognition to home buyers as 'financial creditors', giving them due representation in the Committee of Creditors and making them an integral part of the decision-making process in a liquidation process of a developer company that is responsible for the construction and completion of a project. It thus enables home buyers to invoke Section 7 of the IBC against errant real estate developers, empowering them with a strong enforcement right that has thus far been unavailable to them. Indian hedge funds are regulated under the AIF Regulations as Category III AIFs. Hedge funds may be either open-ended or closed-ended, and there is no minimum tenure prescribed. Further, Category III AIFs are permitted to participate in the commodity derivatives market with certain conditions. Offshore hedge funds can seek registration under the FPI Regulations if they intend to invest in Indian listed securities (including derivatives). India PE funds can seek registration as Category II AIFs under the AIF Regulations. Long-only funds will need to seek registration as Category III AIFs under the AIF Regulations because of restrictions in relation to the maximum permissible limit for investments in listed securities under Category II. As per Preqin's 2017 report,30 estimated full-year distributions from India-based private capital funds in 2016 reached US$13 billion, riding on a three-year run of positive net cash flows to investors from funds in the region. On the back of this commercial track record, and coupled with legal, regulatory and tax amendments in 2017 and 2018, AIFs are becoming the vehicles of choice for offshore private equity funds to structure investments through onshore AIFs. 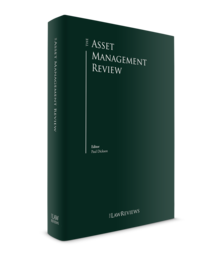 See Section V regarding recent developments impacting banks, the financial services sector and investments in stressed or distressed assets. The key legislation governing the taxation of income in India is contained in the Income Tax Act 1961 (IT Act). Category I and II AIFs are treated as pass-through entities under the IT Act, and are thus not taxed at the entity level except in the case of business income earned by the AIF. Category I and Category II AIFs are required to withhold tax at a rate of 10 per cent when distributing or crediting income to their investors. In the case of offshore investors investing from a tax-treaty country, Category I and Category II AIFs are required to apply withholding tax rate as may be specified in the tax treaty , if any, or rates in force under the IT Act if investing from a non-tax treaty jurisdiction. However, any income that is otherwise not chargeable to tax will not be subject to the aforesaid withholding tax. Category III AIFs do not enjoy the tax pass-through status and would need to be structured as trusts for this to be the case under the general trust taxation provisions of the IT Act. In the case of offshore funds or offshore investors investing in Indian portfolio companies, to the extent that the non-resident is located in a tax-treaty jurisdiction, the provisions under the tax treaty or the IT Act, whichever are more beneficial, would apply. Additionally, under the IT Act, FPIs enjoy a concessional tax regime for both interest income and capital gains. The typical jurisdictions for setting up an offshore pooling vehicle or an investment SPV for making investments into India remain the same in relation to Mauritius, Singapore, Cyprus, Luxembourg, the Netherlands, Ireland and France, with Hong Kong being a new entrant. India has amended its tax treaties with Singapore and Mauritius, and moved to source-based taxation of capital gains arising from alienation of shares acquired on or after 1 April 2017. However, capital gains arising during the transition period from 1 April 2017 to 31 March 2019 will be subject to taxation at a rate that is equal to 50 per cent of the Indian tax rate. Additionally, a limitation of benefits article has been introduced in the Mauritius tax treaty that, inter alia, stipulates a minimum expenditure threshold of 1.5 million Mauritian rupees and provides a reduced withholding tax rate on interest at 7.5 per cent. With the capital gains exemption being removed on the sale of shares, FPIs are exploring other treaty jurisdictions such as South Korea, Spain, France and the Netherlands to make investments into Indian equities. However, the domestic General Anti-Avoidance Rule (GAAR) came into effect on 1 April 2017, which means that these structures will need to pass the commercial substance test and withstand tax scrutiny. an anti-abuse provision has been inserted whereby the benefits of the treaty shall not be available if the main purpose, or one of the main purposes, is to take advantage of the treaty. India signed the Multilateral Convention to Implement Tax Treaty Related Measures to Prevent Base Erosion and Profit Shifting (MLI) on 7 June 2017. According to a Central Board of Direct Taxes press release,31 the MLI will not function in the same way as an amending protocol to an existing treaty. Instead, it will be applied alongside existing tax treaties, modifying their application in order to implement the measures to prevent base erosion and profit shifting (BEPS). India has notified all its tax treaties for the application of the measures to prevent BEPS. However, the provisions of the MLI for implementing these measures will become binding only when accepted by each treaty's partner. The much-anticipated GAAR, which was introduced through the Finance Act 2012, came into effect on 1 April 2017. It will not apply to income earned or received by any person from the transfer of investments made before 1 April 2017, but it will apply to any arrangement, irrespective of the date it has been entered into, if a tax benefit was obtained on or after 1 April 2017.
it is entered into or carried out in a manner that is not normally employed for bona fide business purposes. In such cases, the tax authorities are empowered to reallocate the income from such arrangement, or 're-characterise' or disregard the arrangement. The final guidelines for determining the place of effective management (POEM) of a company were released in January 2017. Under the IT Act, an foreign company that has a POEM in India will be regarded as a tax resident of India, thereby giving India the right to tax its worldwide income. The IT Act defines a POEM as 'a place where key management and commercial decisions that are necessary for the conduct of the business of an entity as a whole are, in substance, made'. Goods and services tax (GST) was introduced through the Constitution (101st Amendment) Act 2016, and came into effect on 1 July 2017. It has subsumed multiple indirect taxes, and aims at removing the cascading effect of taxes. Under this regime, tax will be collected at the place of supply. The GST regime regulates inter-state supply of goods and services through the Integrated Goods and Services Act 2017, while the intra-state supply of goods and services is regulated through the Central Goods and Services Act 2017. From the perspective of the funds industry, two relevant provisions are that management fees, trusteeship fees and performance fees charged to Indian funds will be subject to GST at a rate of 18 per cent; and advisory fees charged to offshore funds and investors will qualify as 'zero-rated' supply of services and thus be exempt from GST. As per Preqin's 2017 report, the AIF industry in India has grown significantly over the past decade, with assets under manag (AUM) reaching US$42 billion (i.e., private capital AUM with closed-end funds) as at December 2016, while hedge fund AUM reached US$1.4 billion (as at July 2017). These are impressive growth statistics, but the potential to grow further is huge when one compares the above trajectory to the size of the alternate assets industry in the Asia-Pacific (excluding India) region: the comparative figure for private capital AUM is US$598 billion (as at December 2016), while hedge fund AUM is US$137 billion (as at July 2017). several measures to reduce the number of approvals, forms and archaic laws to facilitate ease of doing business in India. These bold reforms, and others like them, will ensure India is well-equipped to embark on a path of sustainable long-term growth built on the foundation of a domestic network of strong institutions, industries and talent, while at the same time maintaining its competitiveness in attracting FDI and other global investors. 1 Cyril Shroff is a managing partner and Shagoofa Rashid Khan is a partner at Cyril Amarchand Mangaldas. 11 FDI Factsheet available at http://dipp.nic.in/sites/default/files/FDI_FactSheet_29June2018.pdf. 16 SEBI Notification No. SEBI/HO/IMD/DF3/CIR/P/2017/114 dated 6 October 2017. 17 SEBI Notification No. SEBI/HO/DDHS/DDHS/CIR/P/2018/89 dated 5 June 2018. 18 As of 30 April 2017, out of the 315 AIFs registered with SEBI, only seven were formed as LLPs and two as companies, with the remaining being registered as trusts. 19 SEBI Monthly Bulletin, April 2018. 27 Notification No. FEMA.375./2016-RB dated 9 September 2016. 30 Preqin Insight: Alternative Assets in India, November 2017. 31 The apex body for tax administration under the Income Tax Act.